Welcome to the Fastmarkets AMM Resource Center where you'll find a collection of valuable information and multi-media content provided both by Fastmarkets AMM and contributing partners. This section of amm.com is intended to be an informative resource for industry participants so you do not have to be a subscriber to view this content. We may ask you for some contact details where content is sponsored, but you are under no obligation to purchase anything once you have submitted your details and data protection rules will apply. If you would like to submit a video, case study, white paper, webcast, podcast or any other form of content, please contact Mary Connors at 646-274-6250 or mconnors@fastmarkets.com. Intensifying pressure to improve fuel economy is expected to accelerate the introduction and adoption of lightweight materials into vehicles. Research conducted by the Center for Automotive Research (CAR) indicates the current vehicle material mix is dominated by steel structures with some use of aluminum. Click to learn more. 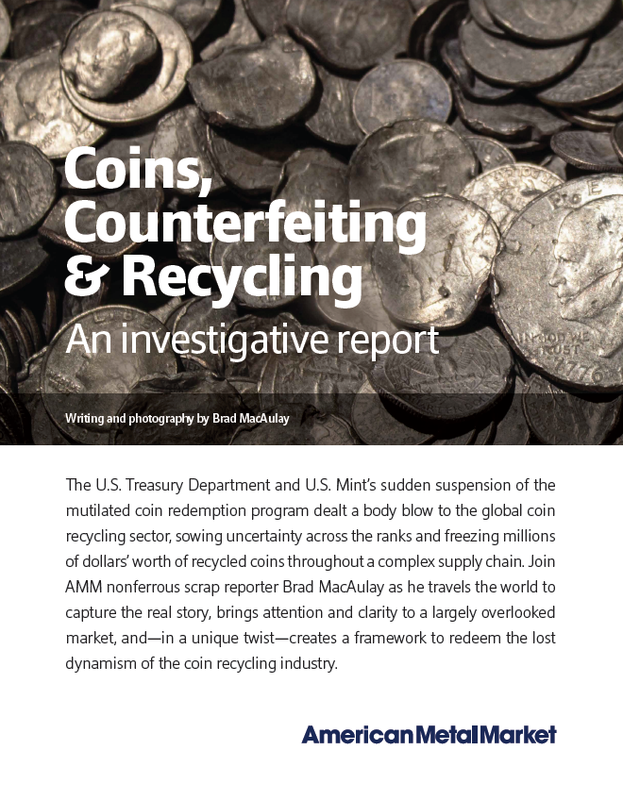 The U.S. Treasury Department and U.S. Mint’s sudden suspension of the mutilated coin redemption program dealt a body blow to the global coin recycling sector, sowing uncertainty across the ranks and freezing millions of dollars’ worth of recycled coins throughout a complex supply chain. Join AMM nonferrous scrap reporter Brad MacAulay as he travels the world to capture the real story, brings attention and clarity to a largely overlooked market, and—in a unique twist—creates a framework to redeem the lost dynamism of the coin recycling industry. To meet lightweighting goals, automakers have requested new metals that bring expanded capabilities to automotive design and manufacturing. 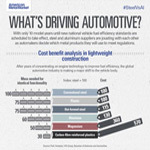 Check out this infographic to learn more about trends in the automotive sector and what that may mean for the future. 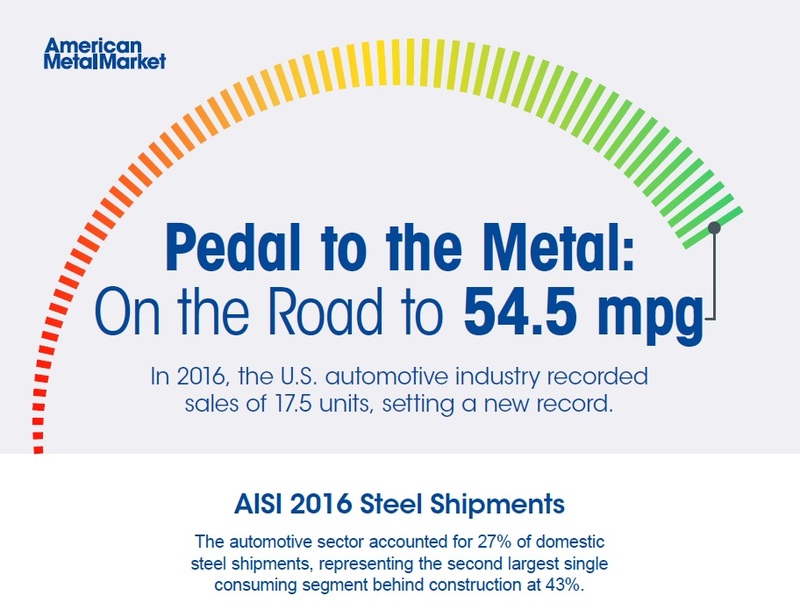 The automotive market has been a consistent bright spot for metals makers over the past couple of years even as other end-users have become increasingly volatile. Demand id up and down the supply chain has remained strong, and steel, aluminum, stainless steel and other metals products show no signs of slowing down. Automakers are in the midst of one of the best growth periods of all manufacturing industries as the recession continues to slowly fade. Sales are climbing each year and as they look ahead, automakers see opportunities and challenges around issues such as Cafe standards, lightweighting, new source materials, factory processes and new technologies for drivers. This infographic will include sales, forecasts, and fuel efficiency.